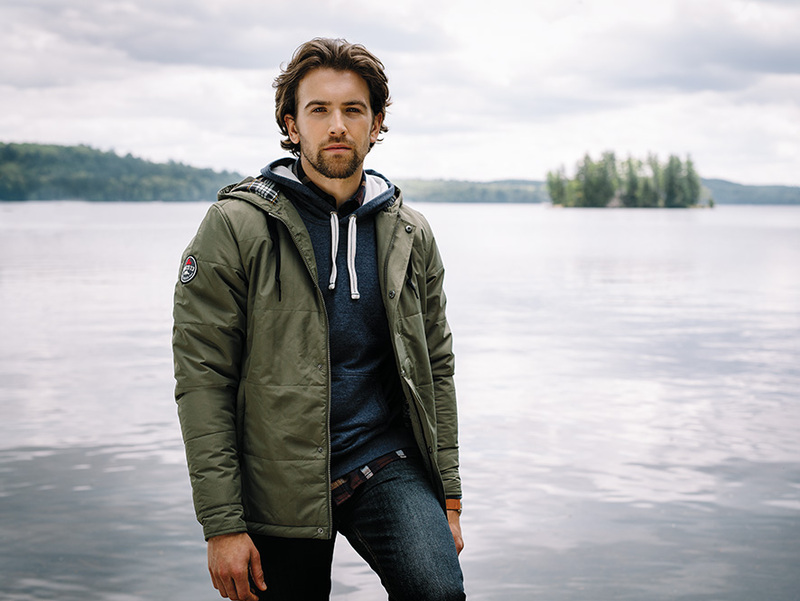 The Gravenhurst Insulated Jacket is a stunningly stylish look for late fall and early spring, providing you with lightweight warmth. In addition to a breathable, waterproof membrane for protection from the elements, the comfy Gravenhurst features exquisite styling, starting with horizontal channel quilting and a snap center placket concealing a zipper with a mitten-friendly zipper pull. No detail on the Gravenhurst has been overlooked, from the faux leather drawstring grab on the attached hood to the brushed plaid lining and elastic hem drawcord. With Roots73 branding to complete the look, the Gravenhurst is certain to command attention for any brand. OUTERSHELL: 100% Polyester dobby woven with waterproof (8000mm), breathable membrane (600 g/m2) and water repellent finish, 105 g/m² (3.1 oz/yd²). LINING: 100% Polyester taffeta sleeves. 100% Polyester brushed tricot knit pocket bags. INSULATION: 100% Polyester soft fill body, 100 g/m² (3 oz/yd²). 100% Polyester soft fill sleeves and collar, 80 g/m² (2.4 oz/yd²).